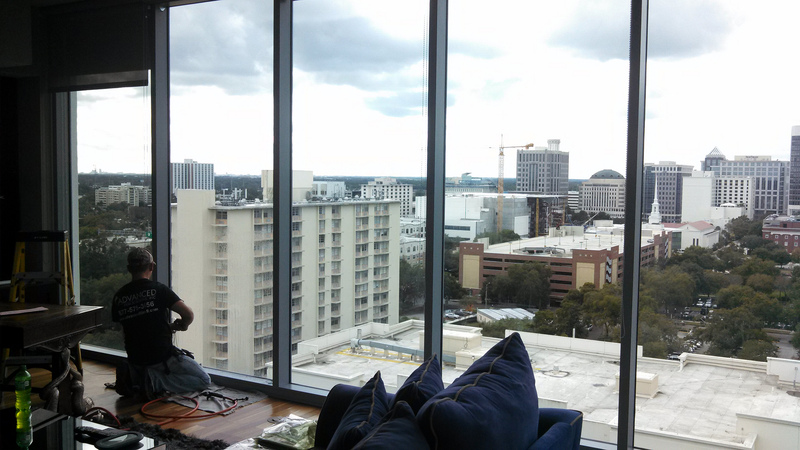 Baking in a high rise office tower is no fun at all. 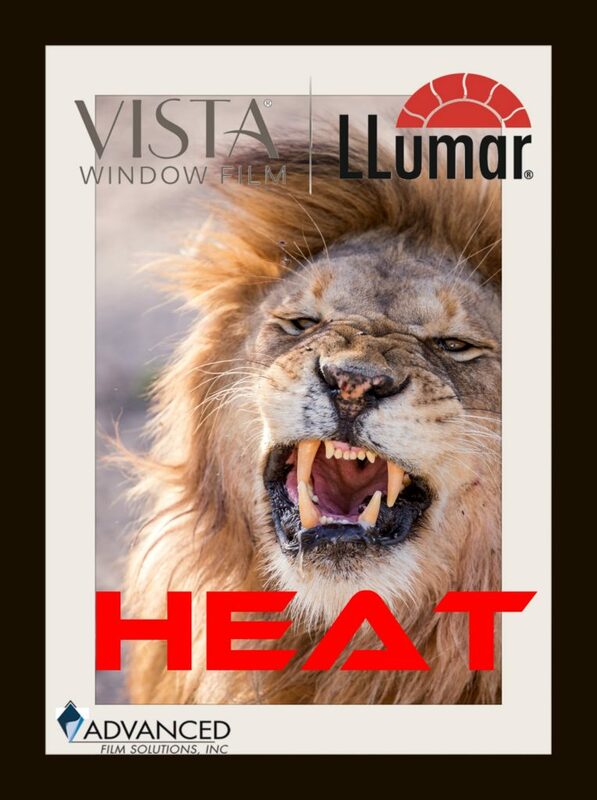 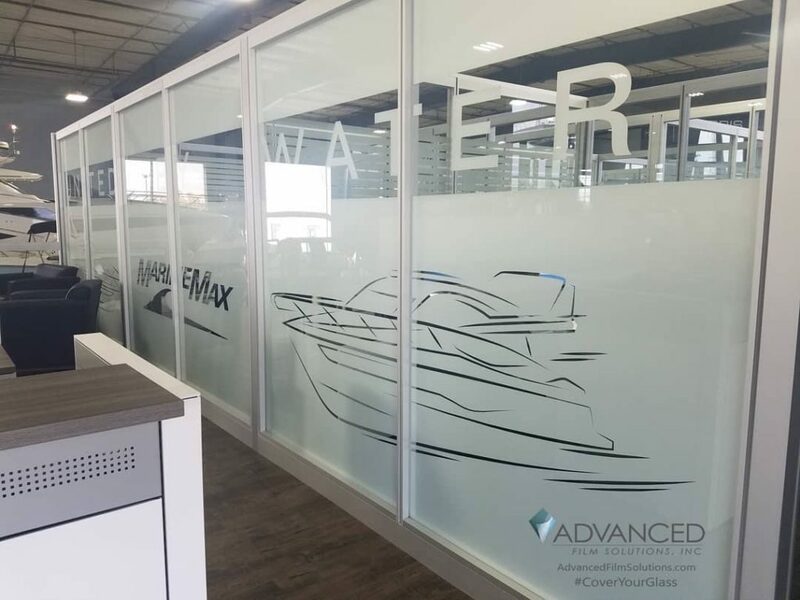 The solution has to lower afternoon temperatures, stop a large amount of heat and all the UV without changing the appearance from the exterior face of the glass. 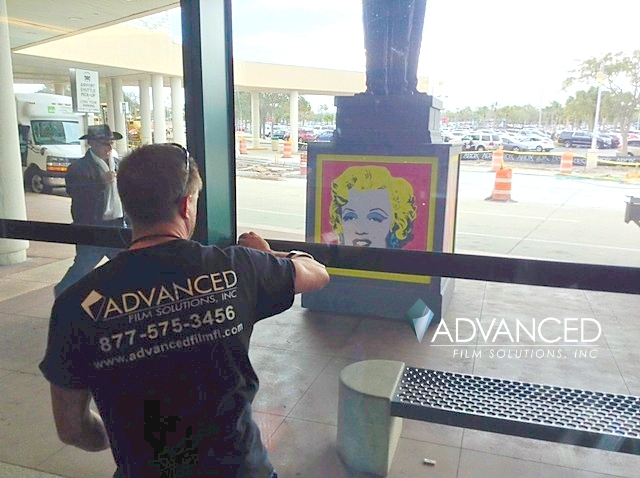 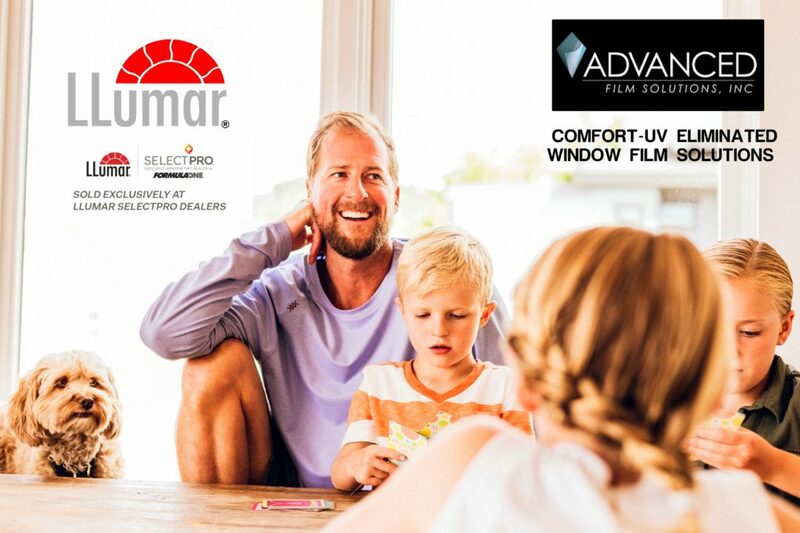 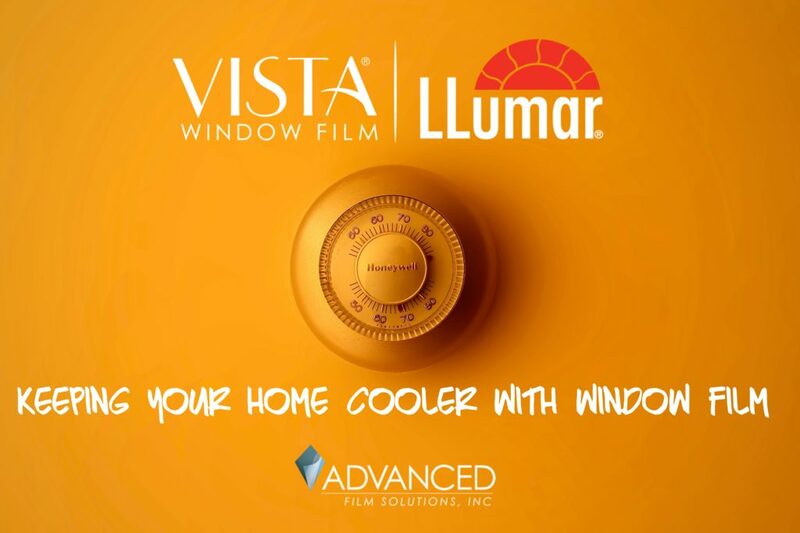 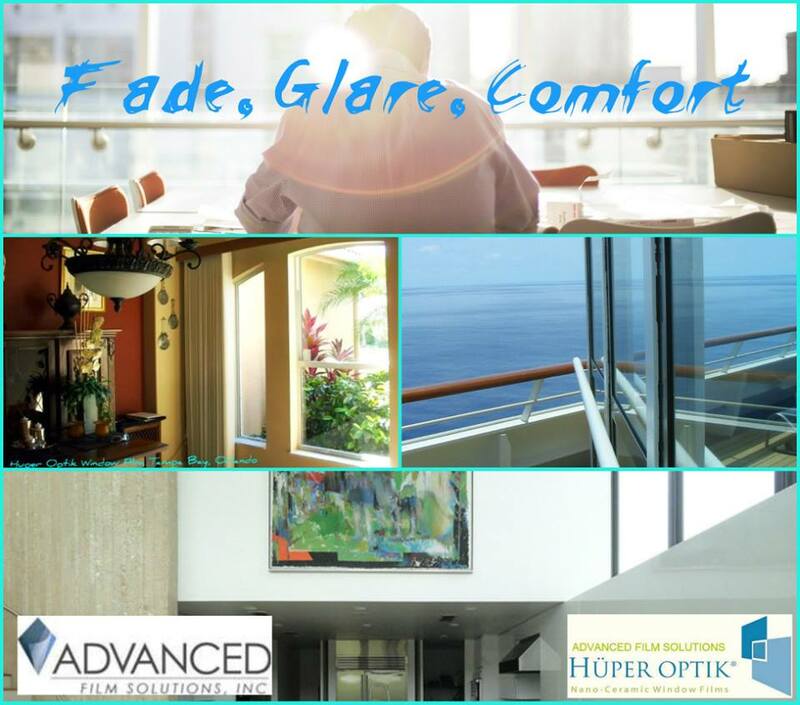 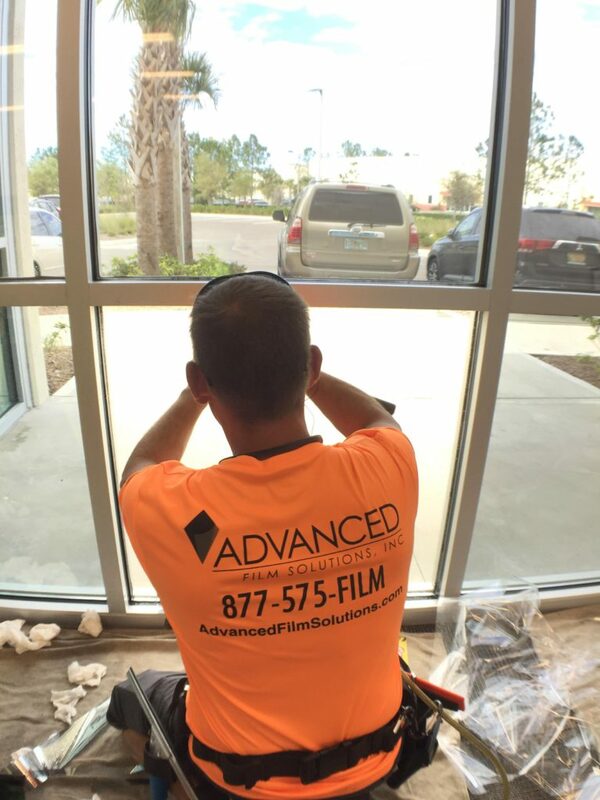 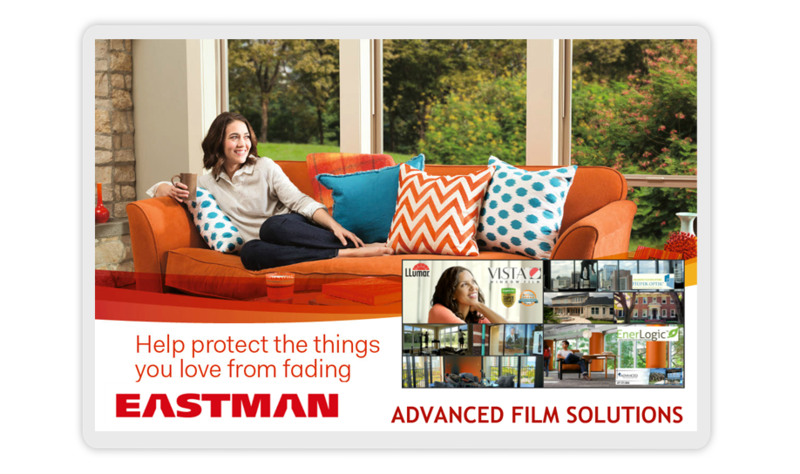 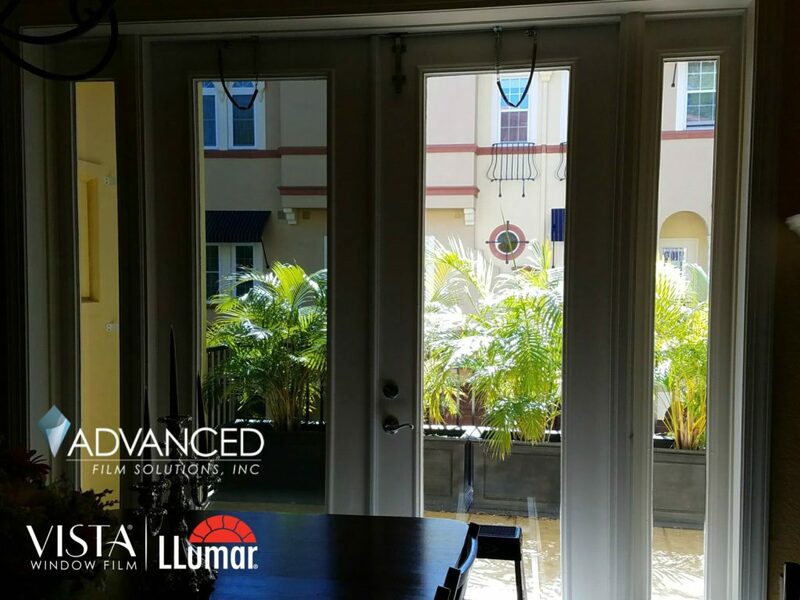 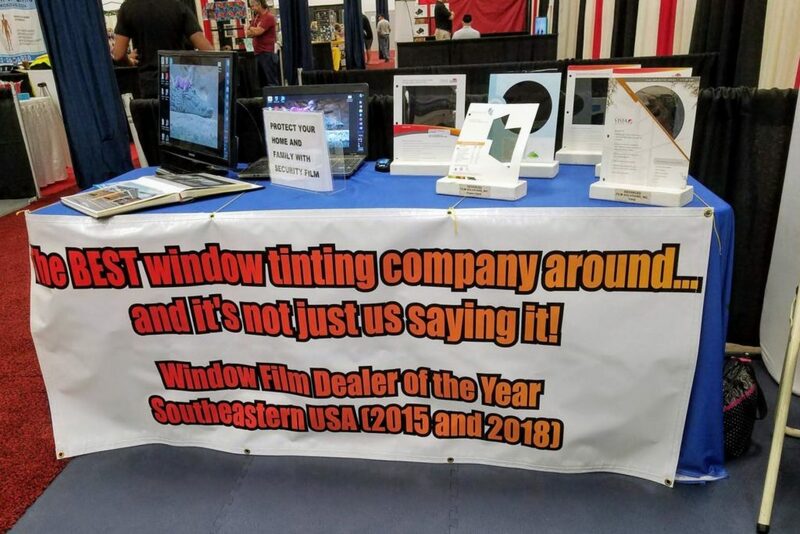 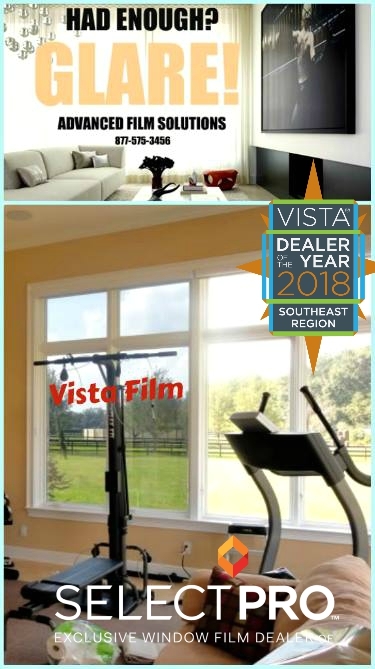 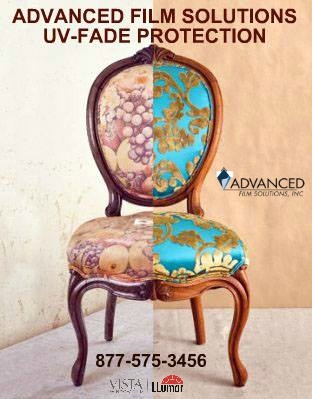 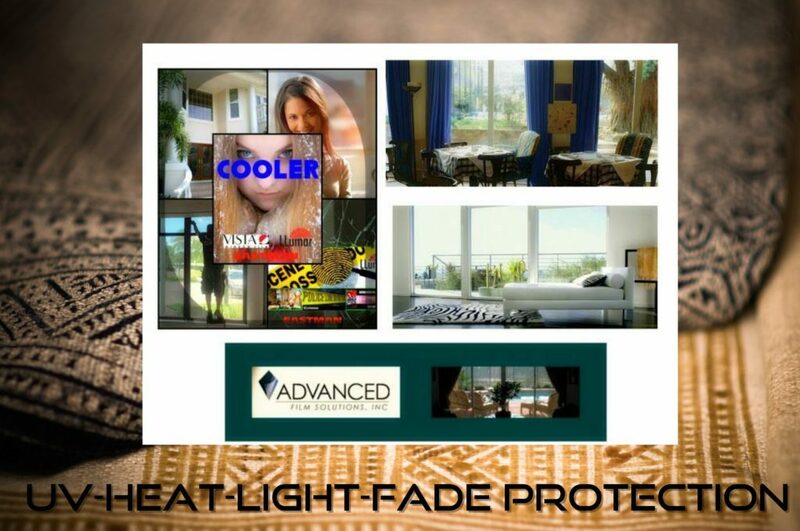 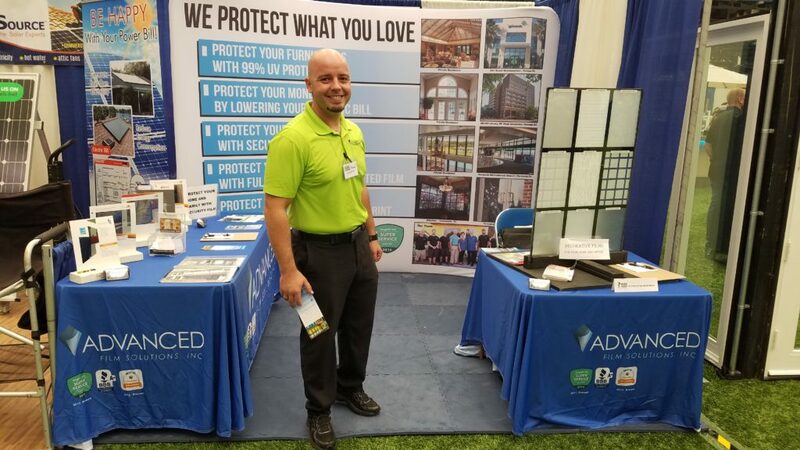 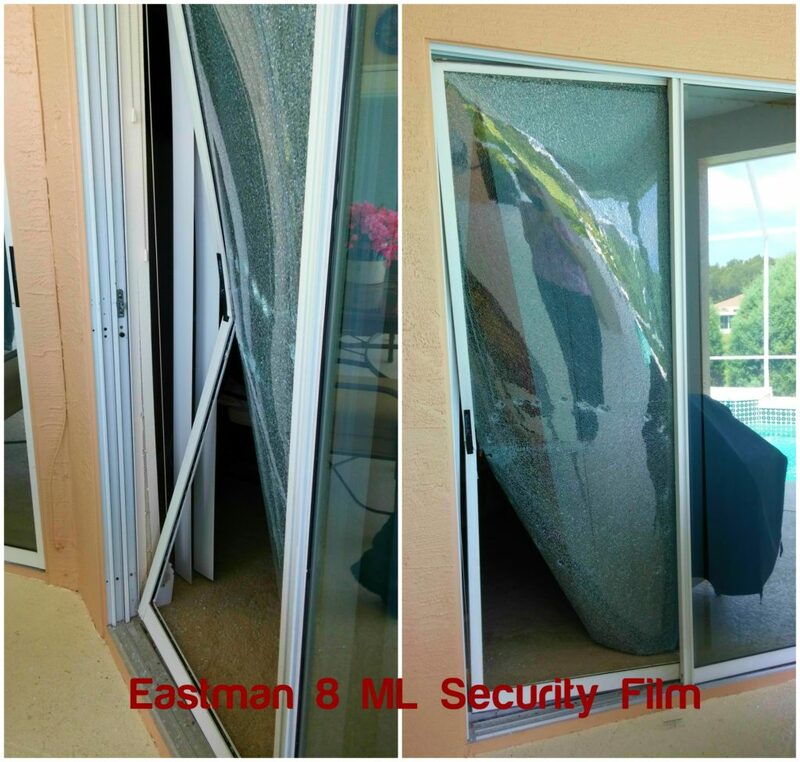 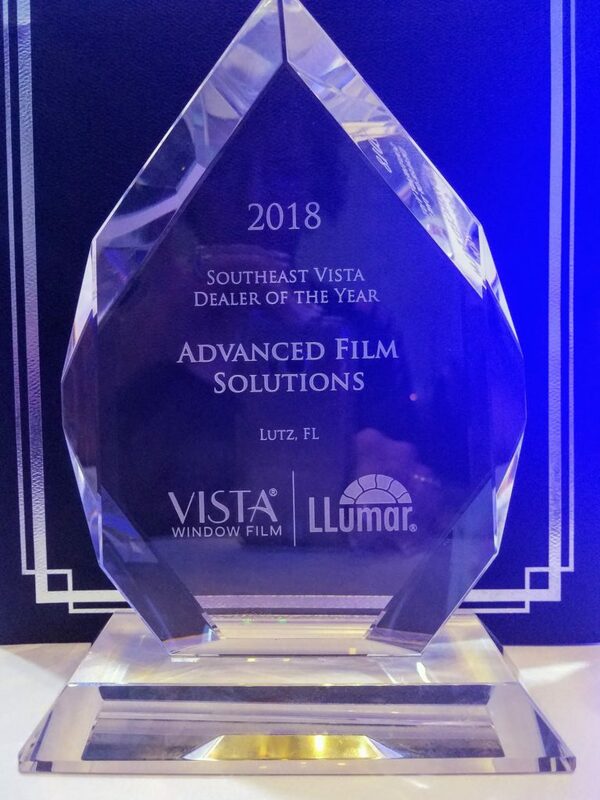 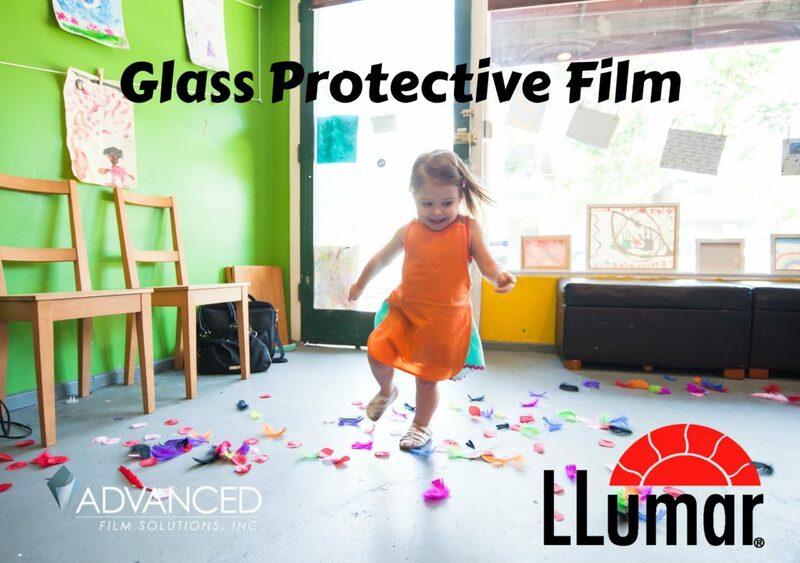 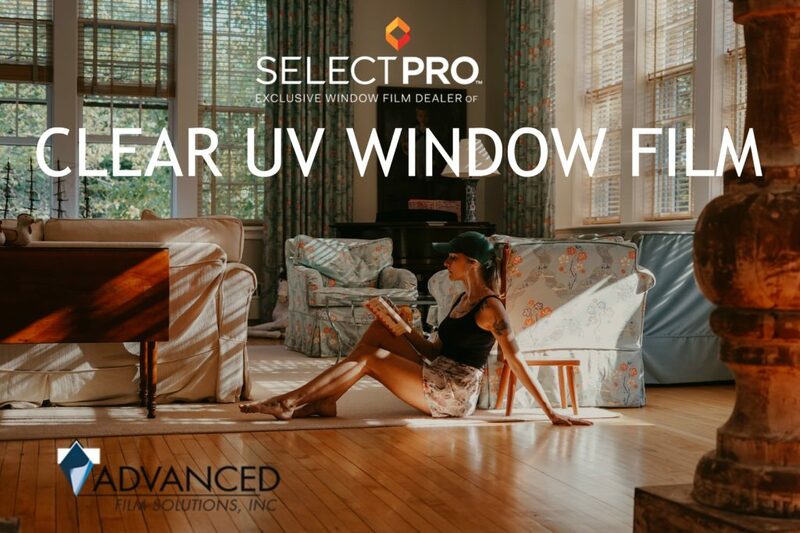 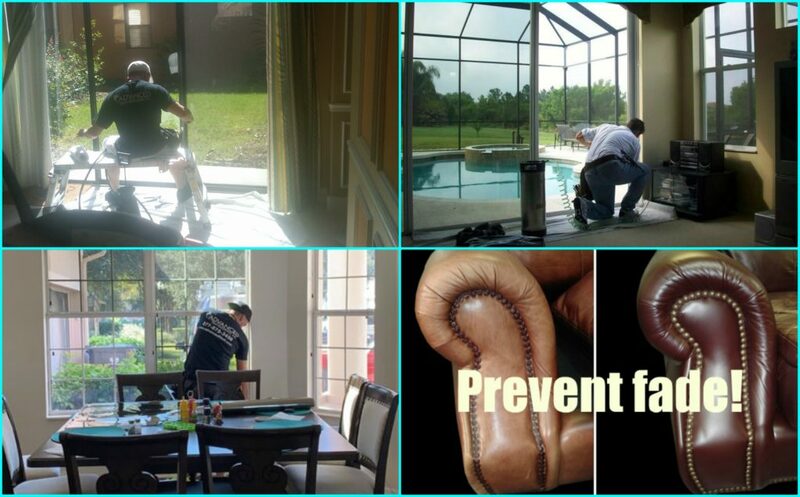 Advanced Film Solutions ceramic window film coatings manufactured by Eastman Chemicals solves these problems every day in Florida. 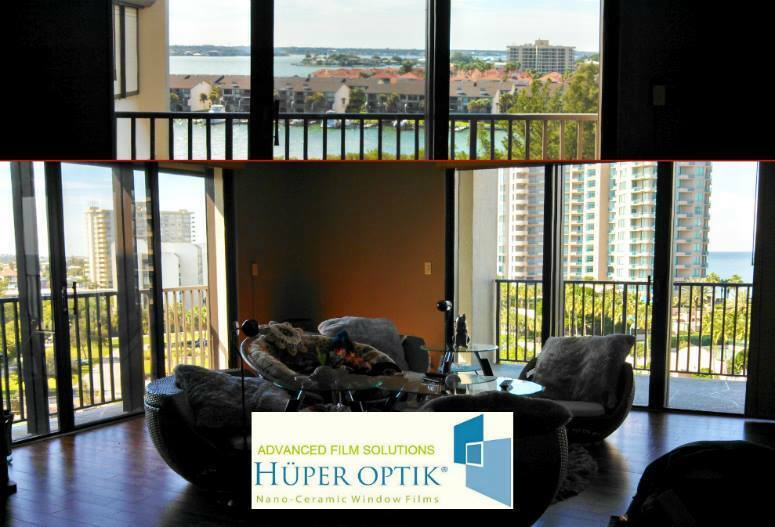 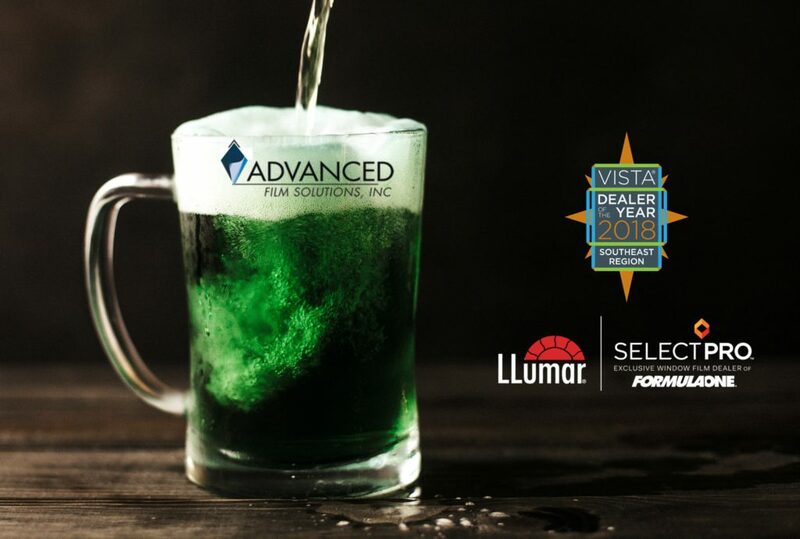 Huper Optik ceramic and Vista Ceramic films are less reflective than glass. 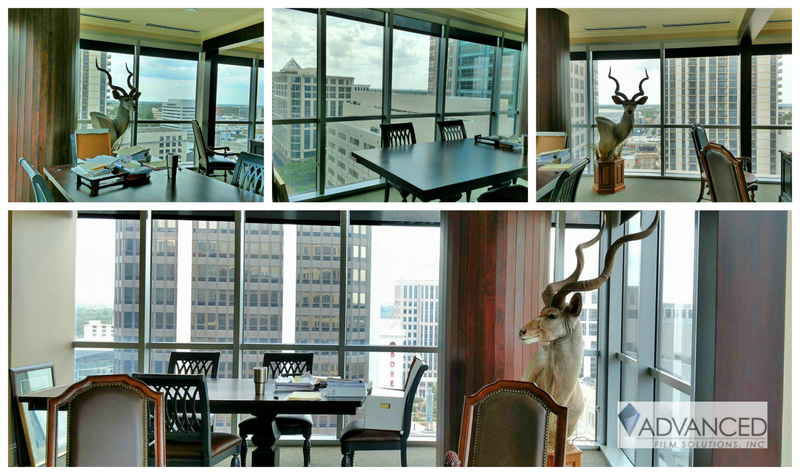 Views are preserved, employees and clients are cooler and more comfortable. 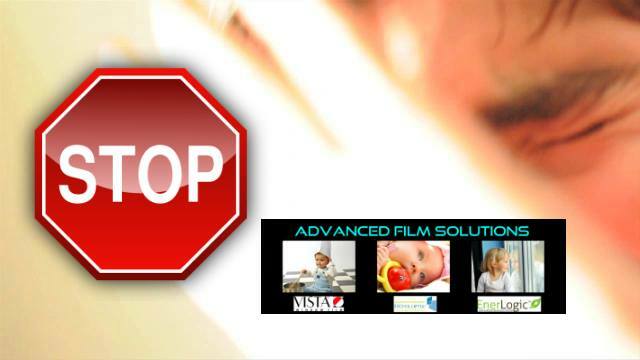 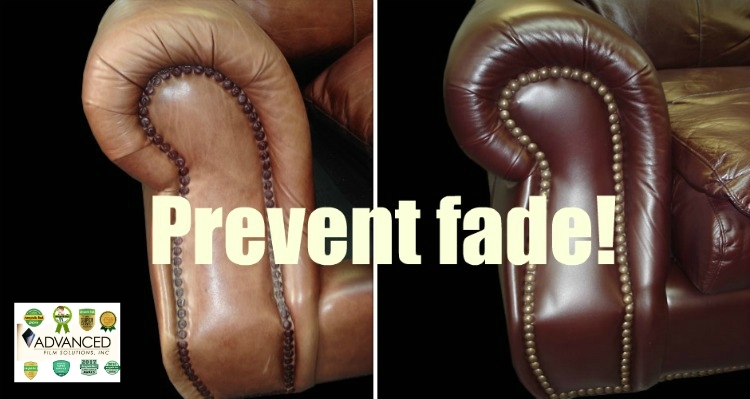 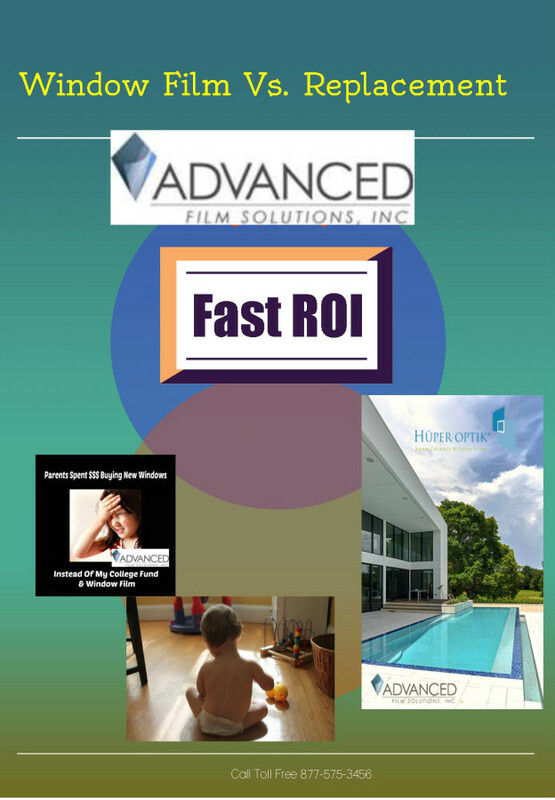 Advanced Film Solutions will match the perfect film for your specific requirements. 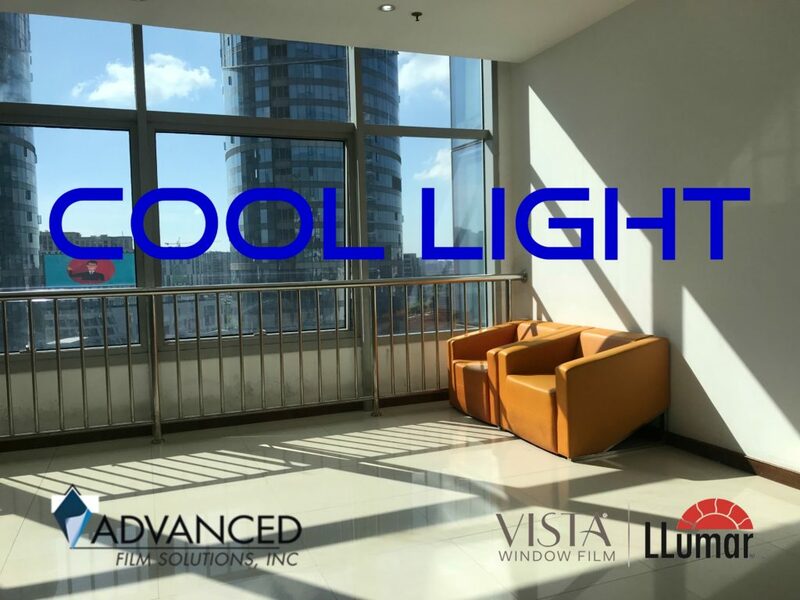 Start getting cooler and improve your views! 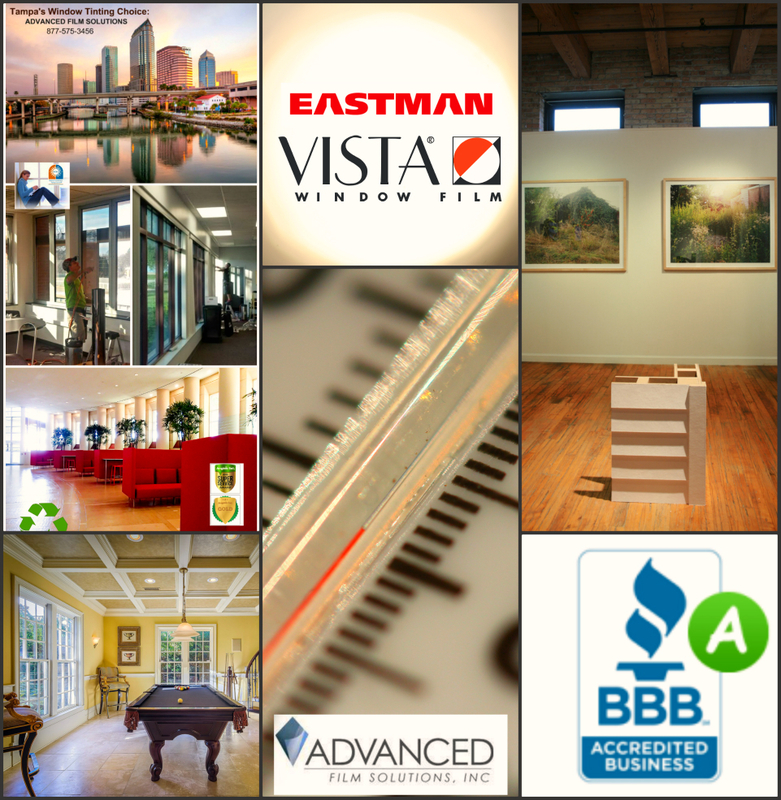 Summer heat is endless here in West Florida. 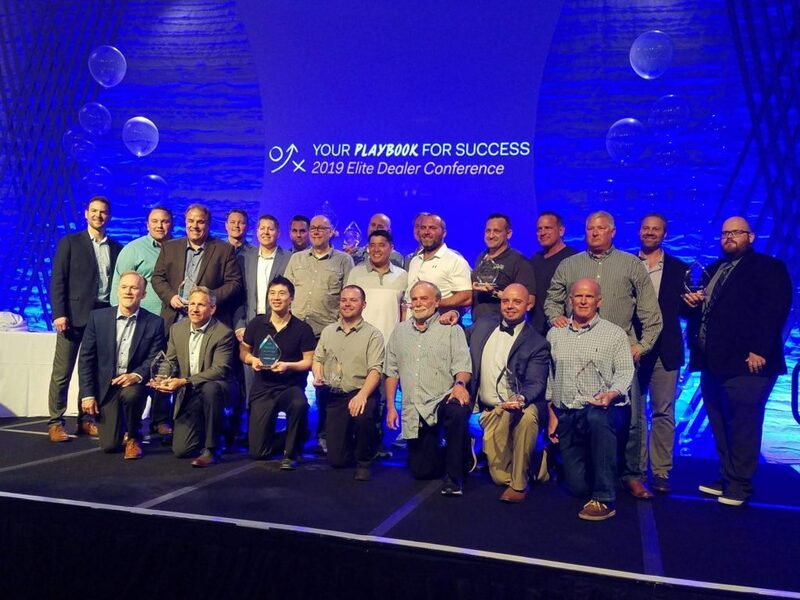 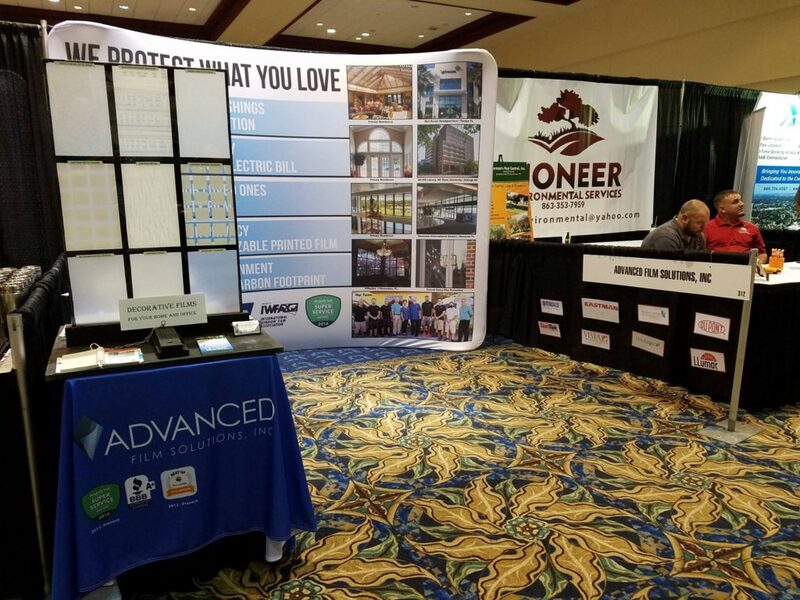 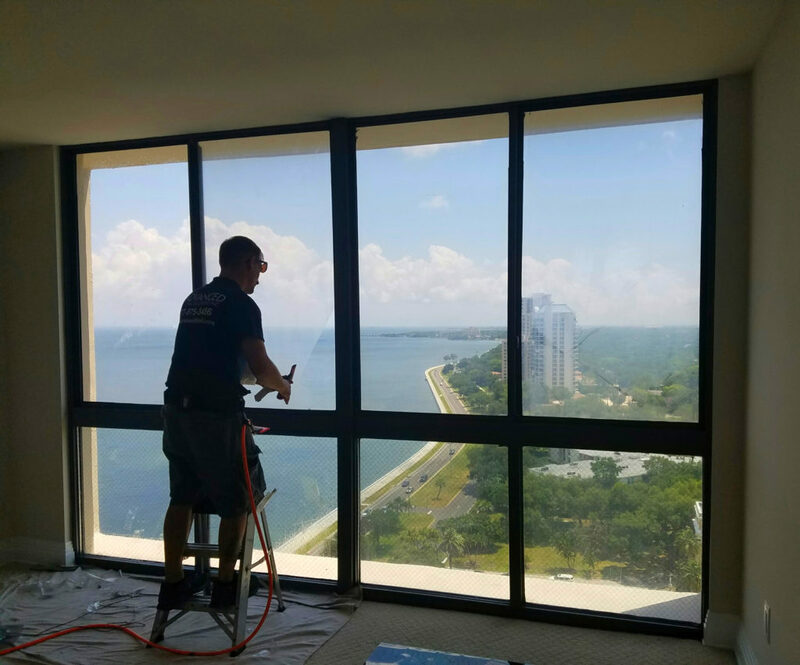 Our team of installers is keeping homes cooler and safer throughout the greater Tampa bay, Sarasota-Bradenton and Orlando region. 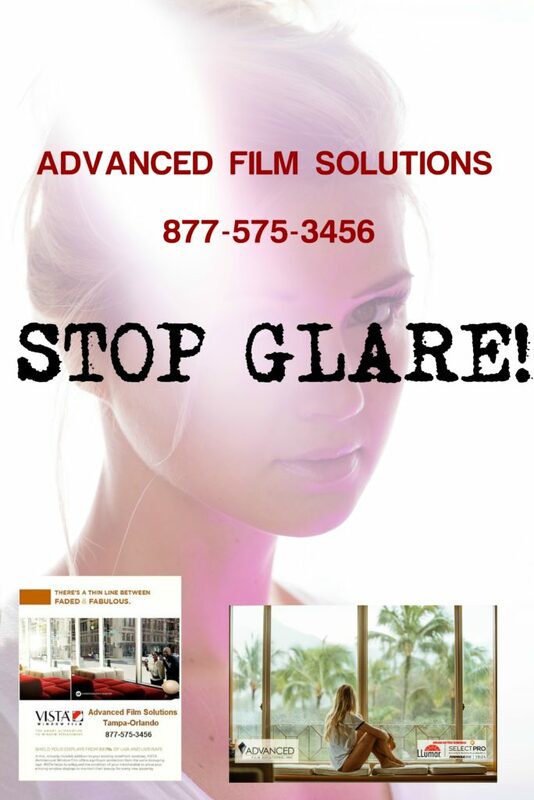 The glare and UV damage are typically aggravating and homeowners are also looking for privacy as well as improved home security. 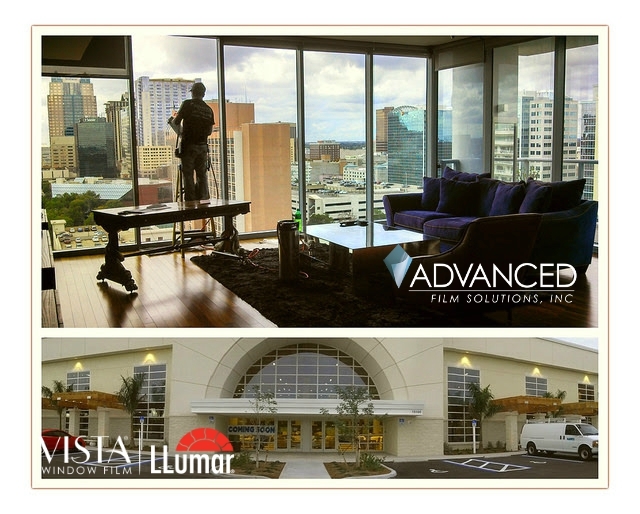 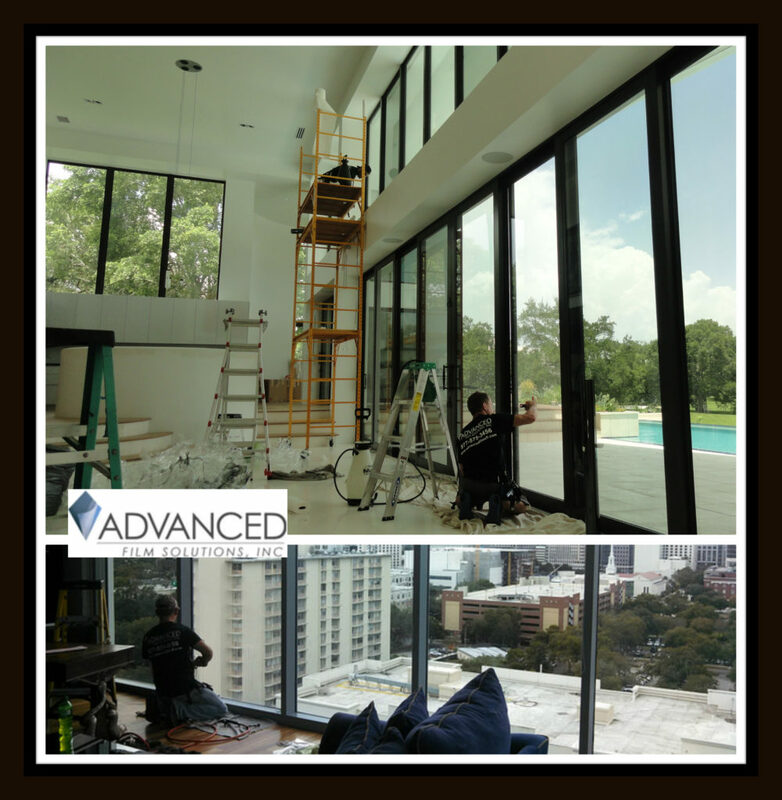 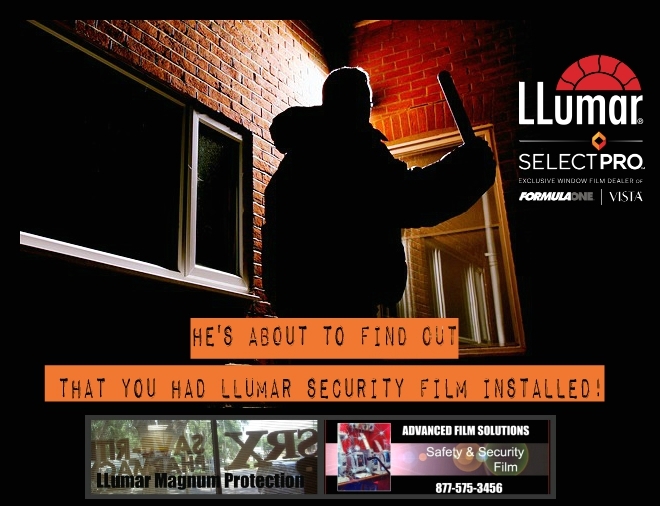 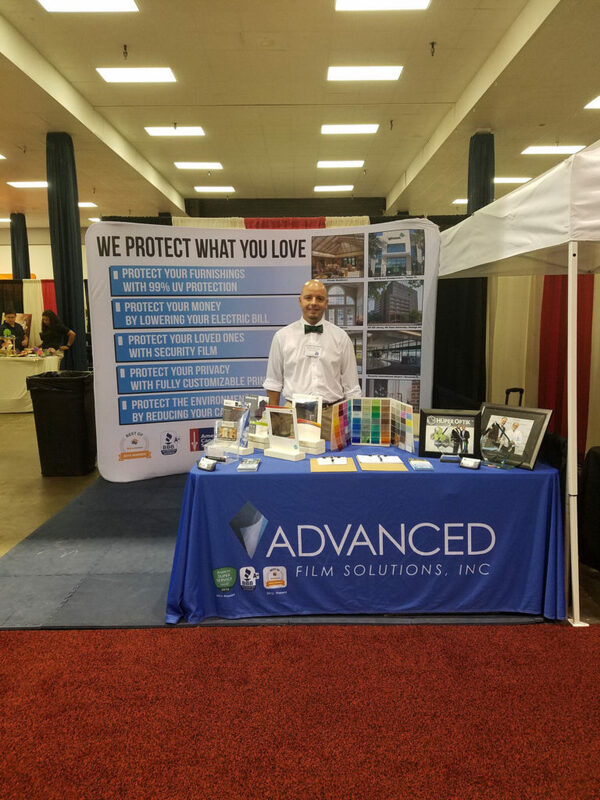 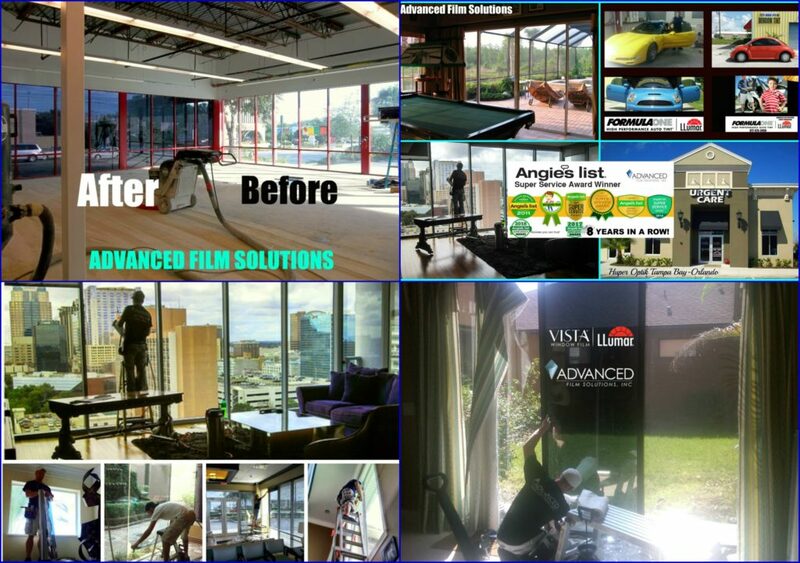 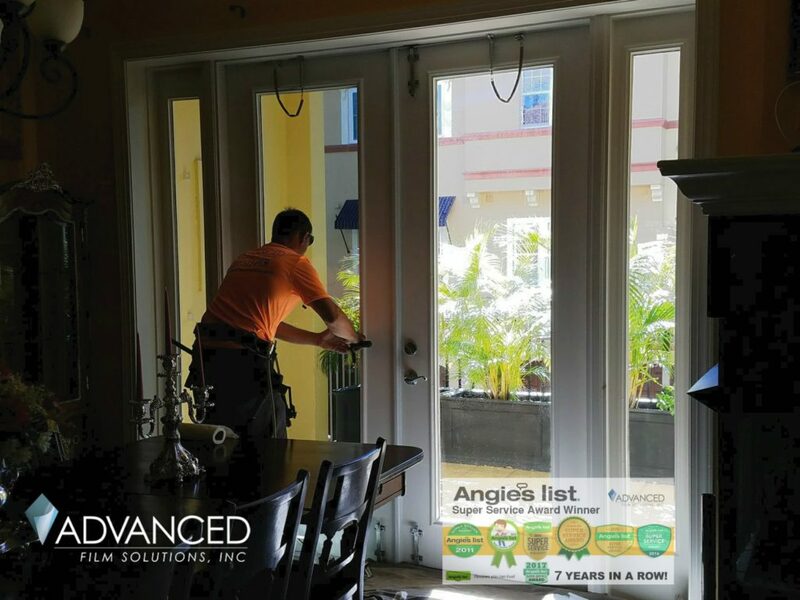 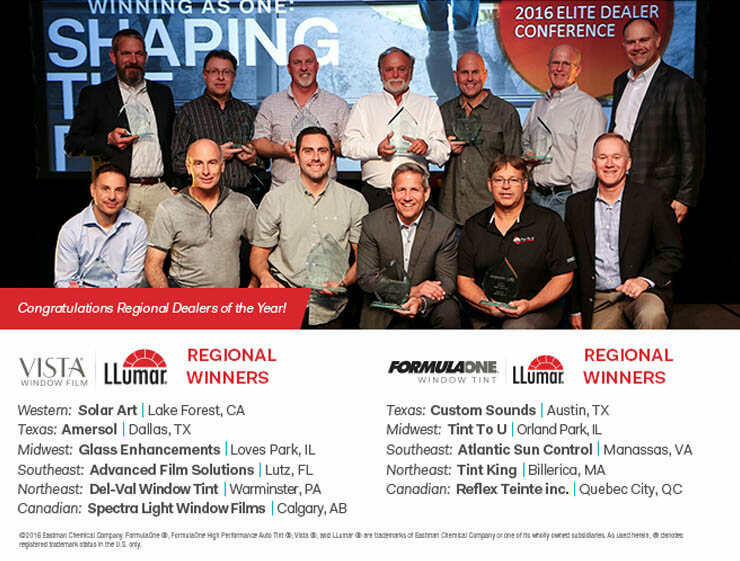 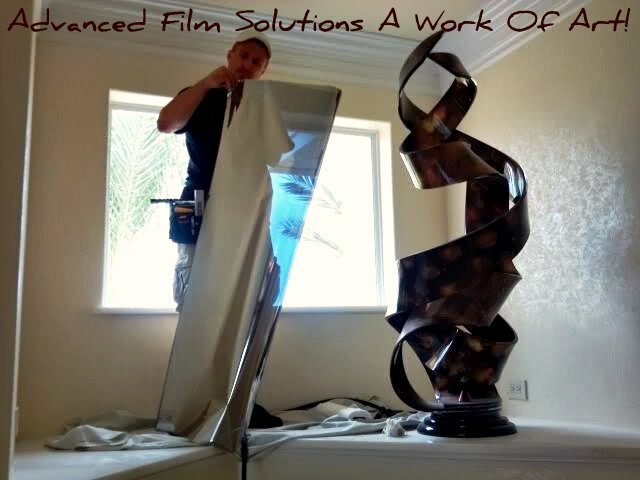 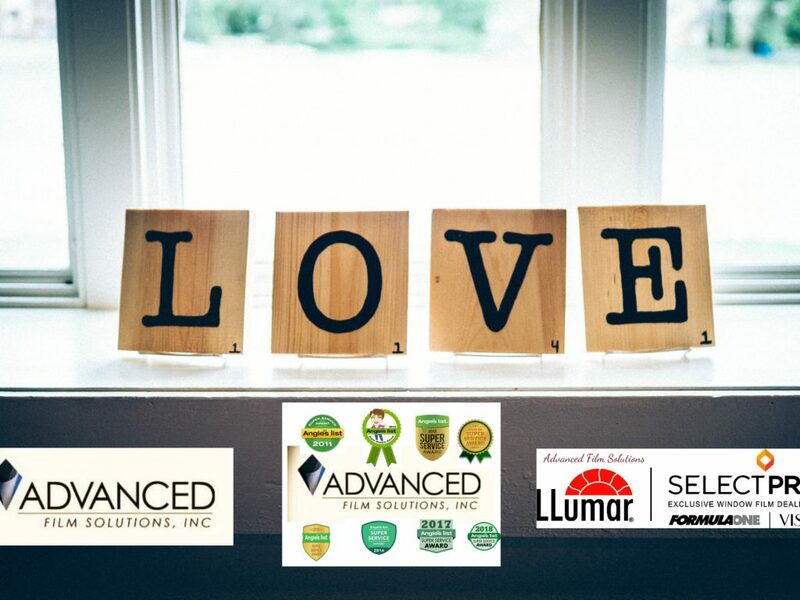 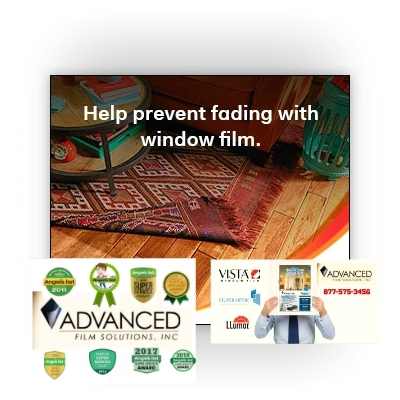 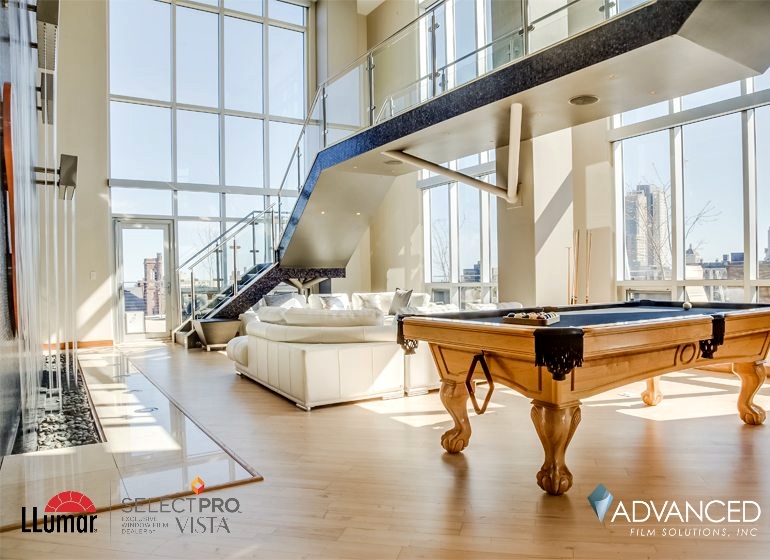 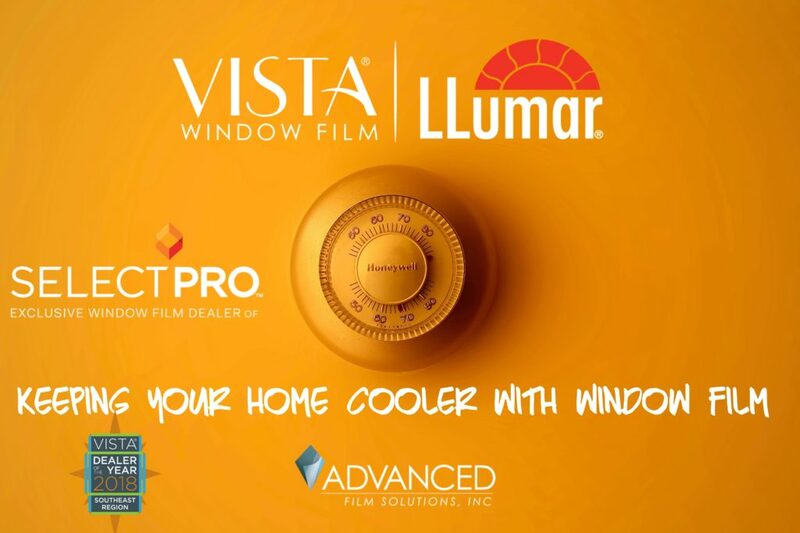 Advanced Film Solutions has performed more than 14,000 home installations since 2007. 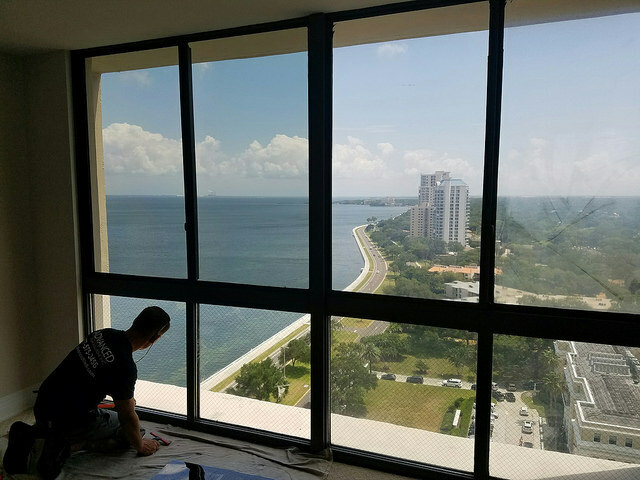 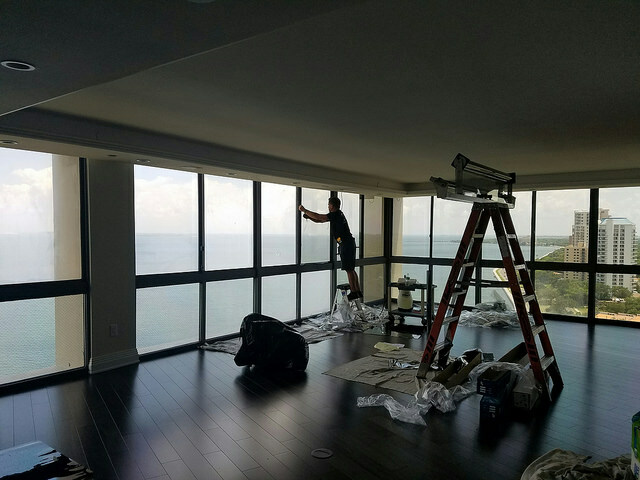 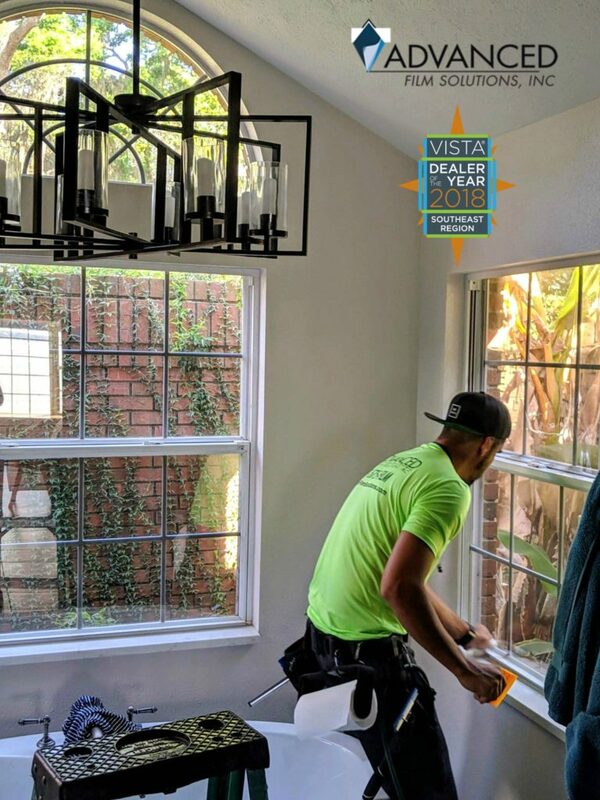 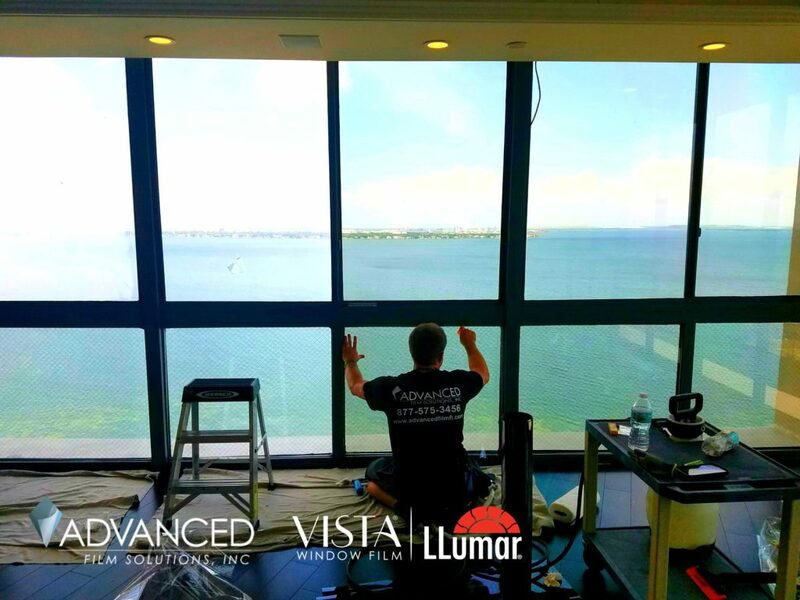 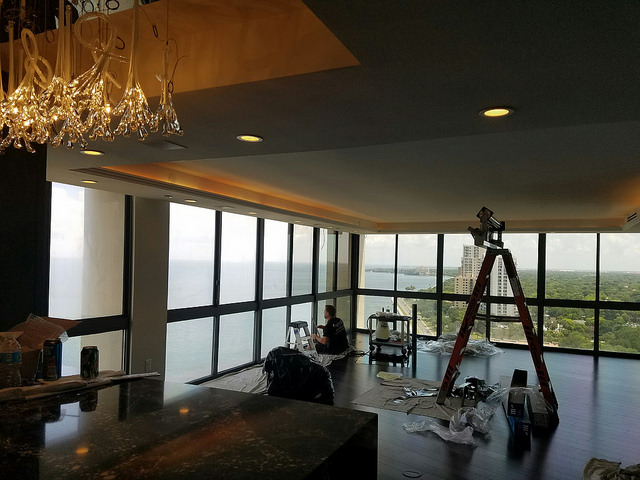 Our team of installers has the most experience and capabilities compared to any other window film installation company. 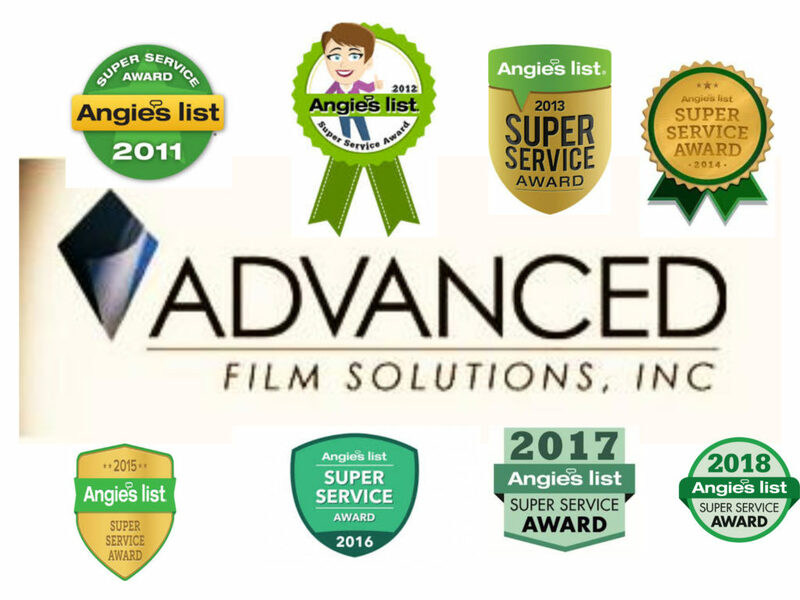 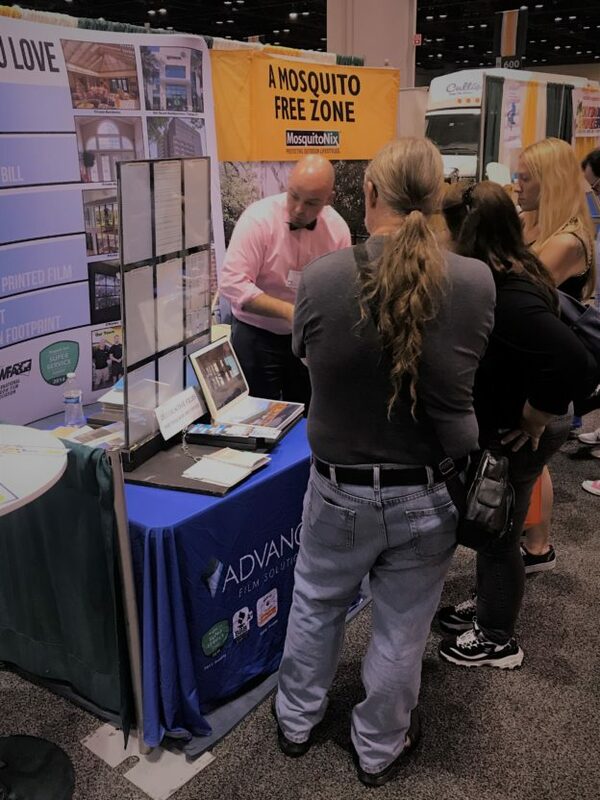 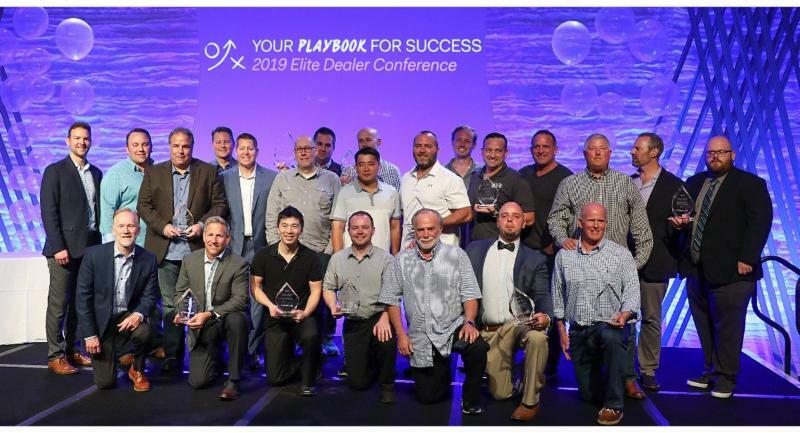 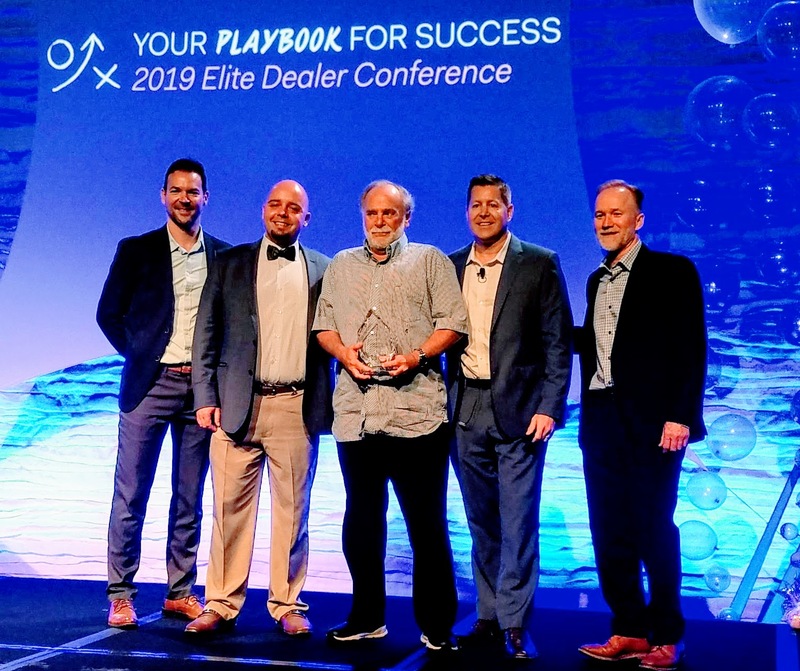 More critically; our word of mouth and third party recommendations has earned us our 8th straight Super Service Award from Angie’s List and an A Plus rating from the Better Business Bureau. 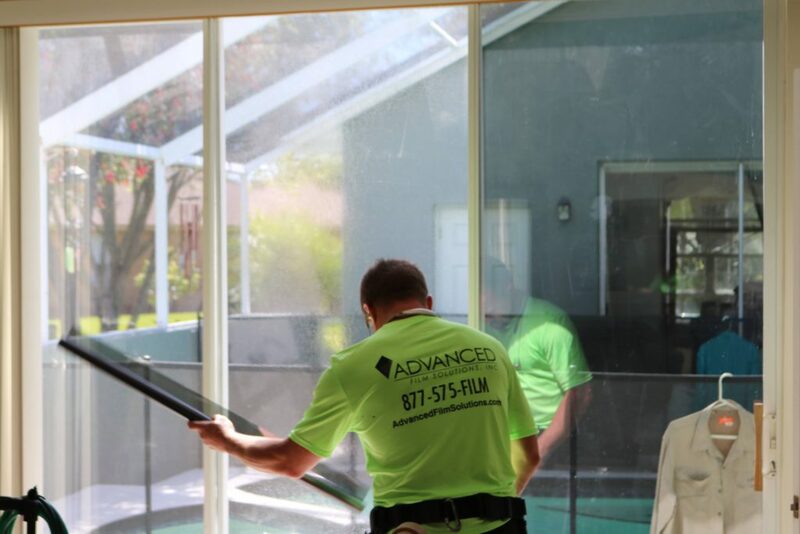 We are fully insured and our installations are warranted for a lifetime. 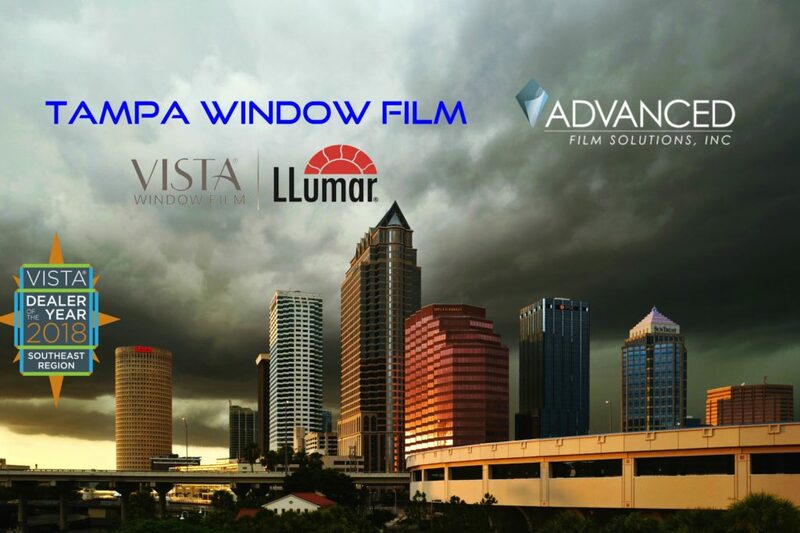 We also offer SunTek, Solar Gard, Madico, Sunscape and Hanita Films along with 3M Fasara and ScotchCal. Call for a free estimate and compare our solutions and value! 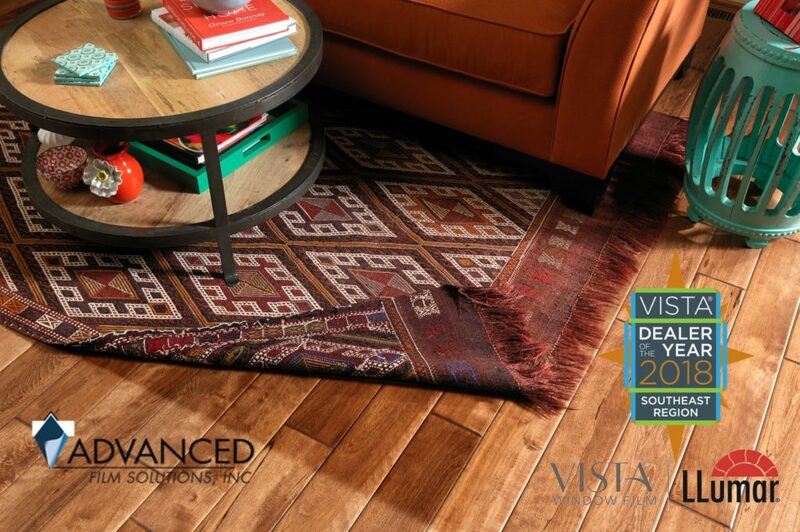 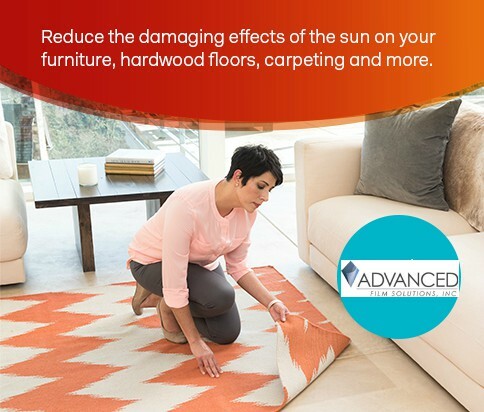 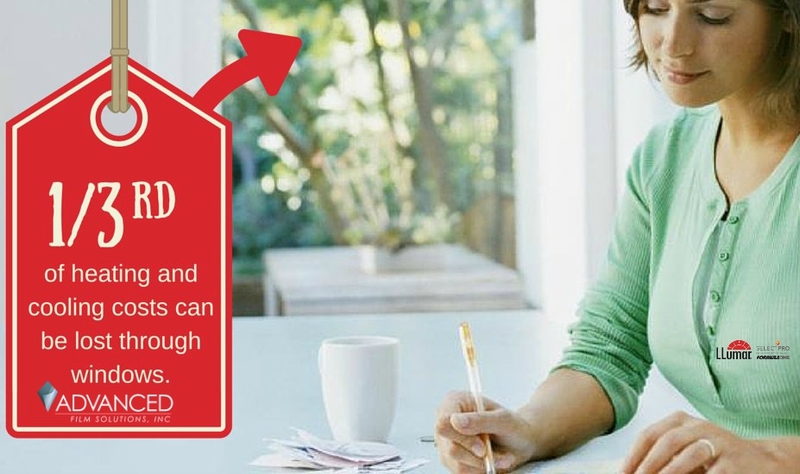 Start lowering your cooling costs, preserve your furnishings and wood floors and filter glare today!